EDI is the acronym of electronic data interchange. EDI can be defined as the structured transmission of data between various organizations by electronic fashion. From a business perspective, it is used to transfer electronic documents that includes purchase orders, invoices, advance shipping notices and more from one system to another or precisely between one trading partner to another trading partner. Due to the huge amount of data and transactions, it has become customary for large organizations to make sure that their vendors and suppliers use EDI for data communication. Ecommerce businesses that wish to become suppliers to retailers such as Walmart, Amazon, etc or who transact with suppliers, manufacturers, shipping companies or other providers at certain stages are required to support EDI transactions. With EDI, companies can eliminate paper-based communications by automating and streamlining B2B transactions. 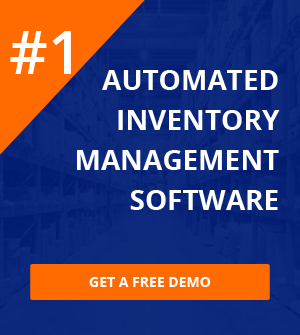 With the usage of EDI formats within the entire supply chain ecosystem consisting of manufacturers, distributors, retailers, fulfillment providers and other trading partners, retail companies can fulfill orders swiftly, accurately and cost-effectively. With EDI, big companies such as Amazon, Walmart, etc have eliminated their need to spend time and money on mapping information between each partner or application. If you are processing just a small chunk of orders, you can easily upload and download EDI documents manually between your partner’s portal and your back-office systems. However, if the quantity is huge or if you work with other vendors that use EDI, manual processes can lead to delays and discrepancies. Now, it’s up to your organization to decide whether you want to integrate your store with Amazon Vendor Central and ERP/accounting automation software, or you want a stand-alone web-based portal solution. With full integration, you can eliminate the requirement to re-enter the data, thereby minimizing errors and overhead. Webgility, with its deep-rooted expertise and experience in ecommerce transactions, has developed a platform that lets vendors on Amazon Vendor Central process transactions via EDI, while enabling them to post these transactions into their accounting ERP applications such as QuickBooks or NetSuite. Simply stated, Webgility acts as an operating bridge between Amazon Vendor Central and QuickBooks for facilitating seamless transaction processing. Webgility lets you download purchase orders from Amazon, review them and revert to Amazon Vendor Central with an acknowledgment, while letting you post these transactions into QuickBooks – all of this in a matter of few minutes. Our Webgility software ensures that you integrate your EDI transactions with the systems you rely on to run the business, generating valuable insights, enhancing the efficiency and saving lot of time and resources. Webgility also connects with any accounting ERP – be it QuickBooks or NetSuite. And when you proceed to ship, you can directly connect with any shipping provider like UPS or FedEX to create labels, process shipments and much more. Simply stated, our software is flexible enough to connect with any platform or can even be customized to suit your specific business requirements. Our EDI on-boarding team helps companies who are new to EDI as well as those who already have an EDI solution in place. We have a team of strong functional and technical consultants to help you at every stage of EDI integration, thereby saving staffing costs. 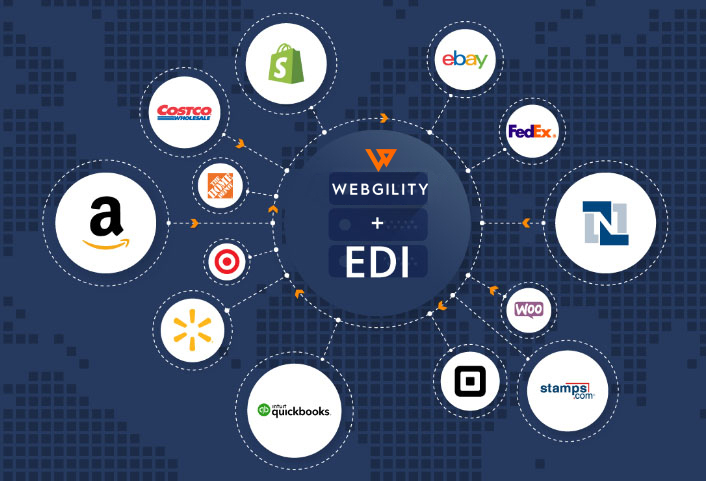 Webgility comes with pre-built EDI compliant mechanism that connects with myriad accounting, ERP, and ecommerce systems to support a smooth transition to EDI, irrespective of your transaction volume. This lets you minimize errors by more than 99%. What you need is a web browser to start processing EDI-compliant orders immediately. Based on your business complexity and growth, we offer scalable solutions that can perfectly sync with your business. Imagine having a bulk of POs that needs to be processed one by one that eats away your valuable productive time and resources. And there is no guarantee that your transactions are error free. With Webgility, you process the same POs in a matter of minutes, not hours, and without any errors. Automating EDI transactions are fraught with several challenges, particularly running a complex configuration setup and high-level expertise. With Webgility a multichannel selling software, all this is a matter of past, as configurations are simple and user friendly without the need of high-level functional expertise. Get help anytime, the way you always wanted. You can reach through several modes: phone, live chat, email, focused videos, help or even webinars. Make prudent decisions, based on accurate and comprehensive data. Ensure 100% transparency of your transactions in and out of your business with complete clarity and accuracy in real time. EDI has a significant role to play in ecommece B2B transactions with EDI automation being the top priority for many companies embarking on revenue generation and process optimization. Webgility’s Amazon Vendor Central integration allows B2B businesses to process error-free transactions within a matter of minutes, while ensuring that all the regulatory compliances are being met, saving lot of time and resources.